On December 16, the Center for Jewish Studies and the Martin E. Segal Theatre Center of the CUNY Graduate Center will present Beyond Boundaries: Klezmer Music in the 21st Century. Featuring distinguished klezmer performers, scholars, cultural commentators, and composers, the program includes an afternoon symposium with music (at 3:00 p.m.) and an evening concert (at 7:00 p.m.). This event is part of the Beyond Boundaries Series in Jewish Music, launched by the Center for Jewish Studies in Spring 2008. The series explores aspects of Jewish music from multiple perspectives—geographical, cultural, and musical. The Graduate Center is located at 365 Fifth Avenue between 34th and 35th Streets. The afternoon symposium at 3:00 p.m. will consider the current state of klezmer music and its implications for the 21st century. Moderated by Dr. Marsha Dubrow, resident scholar in Jewish music at the Center for Jewish Studies, the symposium features noted klezmer experts Alicia Svigals, Hankus Netsky, Yale Strom, Joel Rubin, Eve Sicular, Seth Rogovoy, and composer Stephen Dankner. A series of presentations will be followed by eclectic conversations about klezmer as a world-music genre with a long history and an evolving future. The evening concert at 7:00 p.m. will feature renowned klezmer ethnographer and performing artist Yale Strom and his band Hot Pstromi, joined by illustrious performers from the afternoon symposium. In addition, internationally-acclaimed cellist Matt Haimovitz will perform Stephen Dankner’s Klezmer Fantasy, a boundary-crossing, contemporary classical work that incorporates various klezmer elements, as well as a work by Strom (The Ram’s Daughter, arranged for cello and piano). Accompanying Haimovitz will be Geoffrey Burlson, a faculty member at Hunter College, CUNY and Princeton University. Klezmer has a history of many centuries, but its revival in the late 20th century has inspired countless musicians to combine klezmer with various types of music including classical, jazz, hip-hop, reggae, and other pop genres. The panelists will explore the current klezmer scene, not only in America, but in Europe, Israel, and beyond, as they consider the prospects of klezmer for future generations of musicians and audiences. Strom will also present brief film clips from his forthcoming documentary, A Great Day on Eldridge Street, about the gathering in 2007 of more than 100 klezmer musicians at the historic Eldridge Street Synagogue in Lower Manhattan to celebrate klezmer music-making and its rich history. Alicia Svigals — one of the world’s leading klezmer fiddlers and a founder of the Grammy-winning Klezmatics. She has played with and written for violinist Itzhak Perlman, the Kronos Quartet, playwrights Tony Kushner and Eve Ensler, the late poet Allen Ginsburg, Robert Plant and Jimmy Page of Led Zeppelin, singer/songwriter Debbie Friedman, Hasidic superstars Avraham Fried, and many others. She has appeared on David Letterman, MTV, Good Morning America, PBS’s Great Performances, and on NPR’s Prairie Home Companion, Weekend Edition and New Sounds. Dr. Hankus Netsky — multi-instrumentalist, composer, and scholar, vice president for education at the National Yiddish Book Center in Amherst, Massachusetts, and chair of the Contemporary Improvisation Department at the New England Conservatory in Boston. Netsky is a founder and director of the Klezmer Conservatory Band, an internationally renowned Yiddish music ensemble, and serves as research director of the Klezmer Conservatory Foundation, dedicated to the preservation and perpetuation of Yiddish and klezmer music traditions. He collaborated with violinist Itzhak Perlman on In the Fiddler’s House, a video, recording, and touring project which culminated in a PBS documentary and two EMI CD releases. Yale Strom — violinist, composer, filmmaker, writer, photographer, and playwright. Strom is a pioneer among revivalists in conducting extensive field research in Central and Eastern Europe and the Balkans among the Jewish and Rom communities. He is the author of The Book of Klezmer: The History, the Music, the Folklore (2002), The Absolutely Complete Klezmer Songbook (2006), and, most recently, his first children’s book, The Wedding that Saved a Town (2008), based upon a true klezmer story. His award-winning documentary films include The Last Klezmer, L’Chaim Comrade Stalin!, and Klezmer on Fish Street. Currently, Strom is artist-in-residence in the Jewish Studies Program at San Diego State University. Dr. Joel Rubin — internationally acclaimed performer of Jewish instrumental klezmer and Hasidic music. In addition to performances with traditional musicians such as the Epstein Brothers (USA) and Moshe Berlin (Israel), he founded and played clarinet with some of the most internationally respected klezmer ensembles, including the Joel Rubin Jewish Music Ensemble and Brave Old World. Rubin’s fifth solo album, Midnight Prayer, came out in 2007 on Traditional Crossroads. He has concertized throughout Europe, North America, and Asia and taught master classes and workshops at many universities including Yale and Syracuse, and for the Israeli and Berlin Ministries of Education. 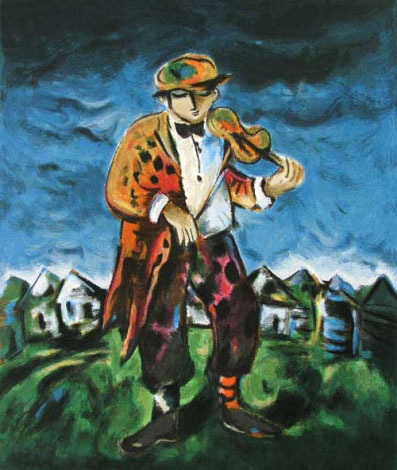 Rubin wrote the first full-length doctoral thesis on Jewish instrumental klezmer music (City University of London, 2001), as well as numerous books and articles on klezmer and Jewish music traditions. Seth Rogovoy — writer, award-winning critic, author, lecturer, teacher and radio commentator. Rogovoy is the author of The Essential Klezmer: A Music Lover’s Guide to Jewish Roots and Soul Music (2000) and editor-in-chief of Berkshire Living, an award-winning regional lifestyle and culture magazine. As a cultural journalist, Rogovoy served for nearly 20 years as a rock and jazz critic for the Berkshire Eagle and writes frequently for Jewish publications including the Forward, Hadassah Magazine and the Berkshire Jewish Voice. His cultural commentary can be heard on WAMC Northeast Public Radio Network. Eve Sicular – drummer, bandleader and film scholar. Sicular founded Metropolitan Klezmer Octet in 1994 and the all-female Isle of Klezbos sextet in 1998. Her groups have appeared on CNN’s Worldbeat, PBS, NPR, and on multiple tours in Europe and North America. She has produced five internationally acclaimed CDs for both her bands. As a film scholar, she worked on MoMA’s series Bridge of Light: Yiddish Film Between Two Worlds, and subsequently curated the film and photo archive department at the Yivo Institute at the Center for Jewish History in New York City. Her writings have been published widely, including in the anthologies When Joseph Met Molly and Queer Jews and in the magazines Lilith, Mix and Davka. Dr. Stephen Dankner — composer and music commentator. Dankner received his D.M.A. from the Juilliard School, where he studied with Vincent Persichetti and Roger Sessions. He has composed nine symphonies, ten string quartets, and much more vocal, choral, choral chamber, and orchestral music. From 2004-2008, he was composer-in-residence with the Louisiana Philharmonic. With his Ninth Symphony premiere in March 2010, the orchestra will have premiered six of Dankner’s symphonies. He has had residences at Yaddo, the Millay Colony, and the Virginia Center for the Creative Arts. Dankner has received five commissions from the Albany Symphony including The Klezmer Fantasy, which he composed for cellist Matt Haimovitz in 2007. Cellist Matt Haimovitz made his debut in 1984 at the age of 13 as soloist with Zubin Mehta and the Israel Philharmonic. At 17, he made his first recording with James Levine and the Chicago Symphony Orchestra for Deutsche Grammophon. Haimovitz has since gone on to perform with such orchestras as the Berlin Philharmonic with James Levine, the New York Philharmonic with Zubin Mehta, the English Chamber Orchestra with Daniel Barneboim, the Boston Symphony Orchestra with Leonard Slatkin, and the Cleveland Orchestra with Charles Dutoit. Born in Israel, Haimovitz has been honored with numerous awards and is the first cellist ever to receive the prestigious Premio Internazionale “Accademia Musicale Chigiana” (1999). He has recorded extensively for ten years as an exclusive artist with Deutsche Grammophone, and, since 2000, on Oxingale Records, the label he co-founded. Haimovitz has been featured in publications including Newsweek and the New Yorker, and has been the subject of full-length televised features on CBS’s Sunday Morning, PBS’s Salute to the Arts and Nova. Pianist Geoffrey Burlson has performed to wide acclaim throughout Europe and North America. He is equally active as a recitalist, concerto soloist, chamber musician and jazz performer. The New York Times has hailed Burleson’s solo performances as “vibrant and compelling,” praising his “rhythmic brio, projection of rhapsodic qualities, appropriate sense of spontaneity, and rich colorings.” Burlson made his New York City solo recital debut at Merkin Hall in 2000, sponsored by the League of Composers/ISCM. He has recorded the complete piano sonatas of Vincent Persichetti. Upcoming releases include Messiaen’s Quartet for the End of Time, Roy Harris’s Complete Piano Works for Naxos, and Odd Couple, a program of American cello and piano works with cellist Matt Haimovitz, featuring the Barber and Carter sonatas, as well as pieces by David Sanford and Augusta Reed Thomas. Burlson teaches piano at Princeton University, and is assistant professor of music and director of piano studies at Hunter College, CUNY.